The last few weeks have been about getting safely to land, recovering, sorting Darien out, and enjoying some much-needed relaxation in the sun! It’s been an interesting experience writing this blog. I’ve had something half-written for the past week and a half, but I’ve found it a lot harder to focus on it than I did during the row. Out there I was exhausted, and was constantly concerned about the implications of taking time out of rowing, but writing was always a highlight of my day. It was a chance to communicate with people, to share what I was experiencing, and to reflect on how things were going. On land there have been so many more stimuli – even just sitting down at the computer to write I feel distracted by email, social media and the internet all jostling for attention. When I was rowing all of this was limited, and suddenly I have to make an effort to focus again. I’m once again experiencing everyday life with other people, and writing is one of the many things that happens in a day. Now I’ve given myself the space to sit down properly and write, however, I’m really enjoying it and appreciate the space to reflect on the experiences of the last few weeks. The difficult decision to ask for a tow has proved to be a good one. Shortly after I arrived in San Diego, news of Hurricanes Julio and Iselle started coming in. Julio sped right over where I’d been headed towards, and Iselle crossed the path that I would have been on had I not changed course to head for Mexico. Watching the 140 mph winds swirl over the ocean on the news, I felt very lucky to be safe and sound on land, with Darien snug in a quiet marina (thankfully everyone else in the Great Pacific Race is also safe). 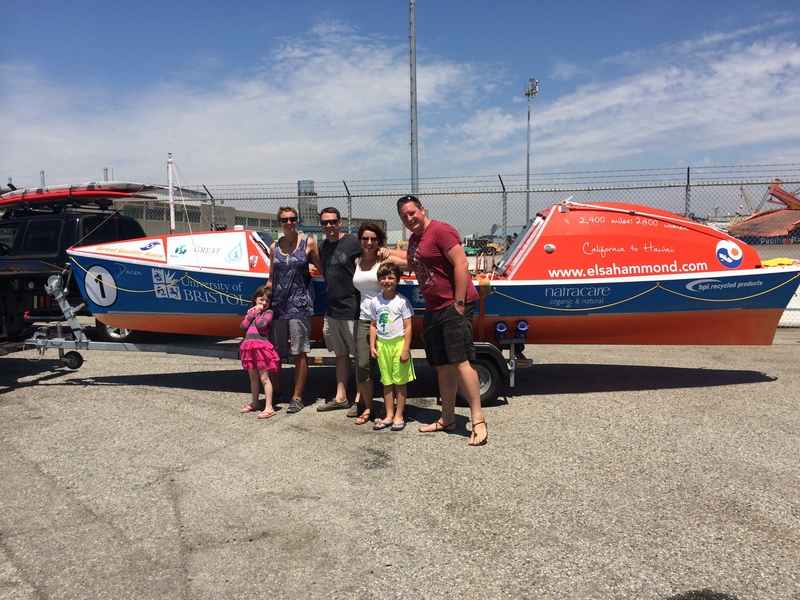 Lots of people have asked me what it was like stepping onto dry land again after two months in an ocean rowing boat. I actually had the strange experience of getting used to the completely different motion of the yacht for three days before I made land, meaning that the experience was probably a bit less dramatic than it might have been. There was some wobbling, and my legs are still weaker than they were, but I think my body was just enjoying being somewhere that wasn’t moving for a while. As we sailed into San Diego, I spied a little group of people on the end point of Shelter Island waving banners and balloons. 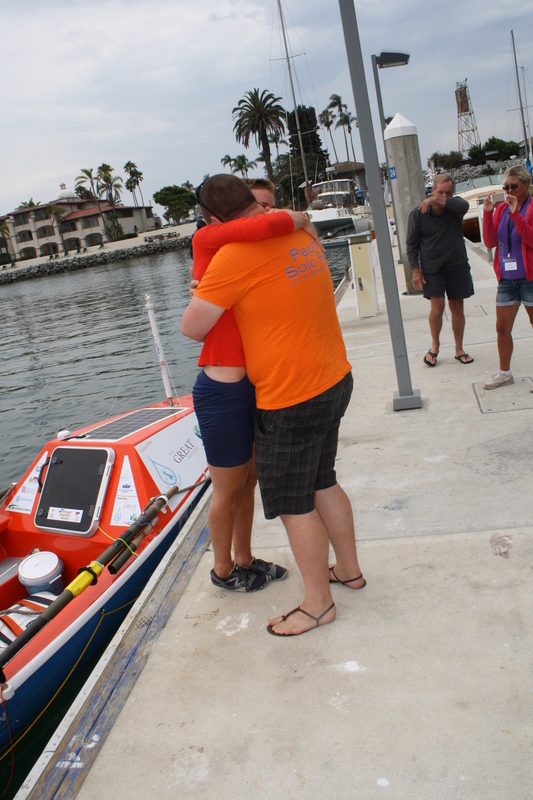 I could hear them shouting from the shore, and could see Steve in his bright orange ‘Pacific Solo Row’ t-shirt. After the faff of setting Darien free from Cloud Nine, I rowed the last bit to shore to be greeted by the big smiles of the welcoming gang. Within minutes of landing, we were soaked by a sudden downpour, leading to an extremely bedraggled group making their way into the Silver Gate Yacht Club for lunch (I remain only partially convinced that this was unusual weather for San Diego…). Silver Gate is an historic yacht club with a swanky new clubhouse, and they very kindly made me a guest member for the time I was in San Diego. 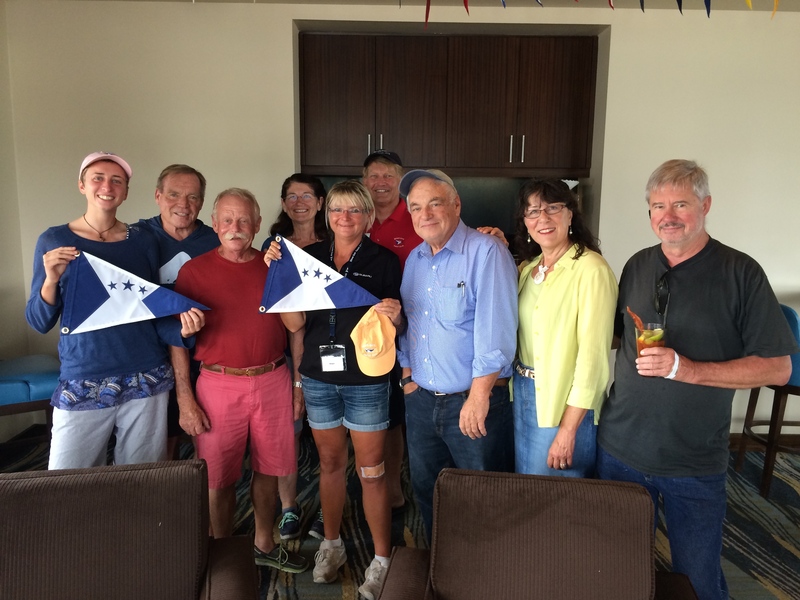 I feel privileged to have been hosted by two such welcoming yacht clubs, one at each end of the row. First hug in two months! As well as being over the moon to see Steve again, it was also pretty special to be reunited with Mary and Jim in San Diego, two of the other solos who left Monterey with me back in June. We missed Daryl (fourth solo, now back in England), but raised a glass to him from the comfort of the Silver Gate bar. Jim lives in San Diego, and Mary has been continuing her row down the coast, so we were all able to share stories and experiences from the ocean. Due to the difficulty of changing flights again, Steve and I have a bit of time to explore California before heading back to the UK. We’re off to Yosemite National Park for some camping and hiking, which will be the first real test of my weakened land legs. 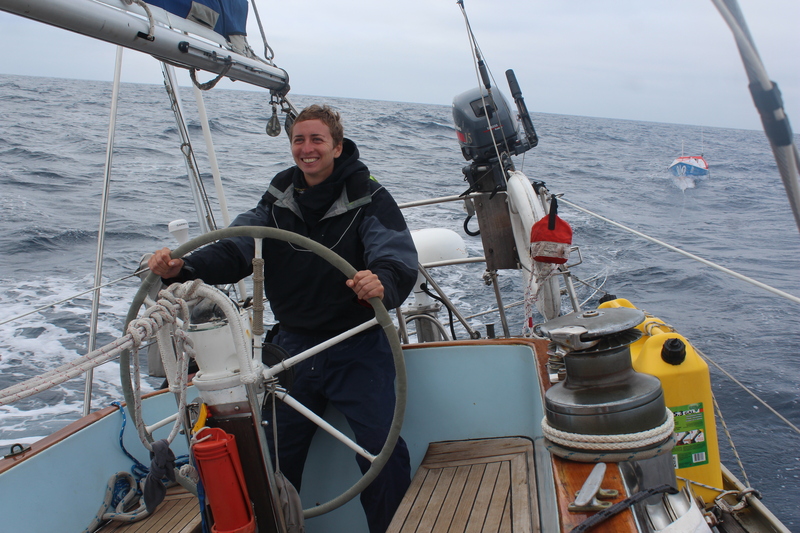 Darien is on her way back to the UK, thanks to Wallenius Wilhelmsen and the amazing efforts of the Brock family, our wonderful, constantly-generous hosts from Monterey. Great to hear you are relaxing and enjoying yourself. Have a great time in Yosemite. I’ve always wanted to go there. Have a great time camping Elsa. Pleased you have been able to get that sorted. I hear it was proving a little difficult. Looking forward to seeing you in September. Ps: Mark perhaps you should just go. Enjoy Yosemite. It is a beautiful, wonderful place. I just want to say how incredibly impressed I have been by you–first by the courage and perseverance you displayed in your row, second by your courage and wisdom in changing your plans when it became the smart thing to do. Neither was easy and both displayed a remarkable strength of character. All the best to you.